1 What is a Glass Backsplash? If you are constructing a new kitchen, or renovating an existing one, a glass backsplash can transform the space quickly and easily. Constructed of tempered glass, they come in various sizes, colors and shapes. They usually go on the upper portion of the walls of your kitchen, between the cabinets and counter-tops. From subway tile to beveled or 3D, the give a kitchen a clean, custom look, at a fraction of the cost. They stand up well to extreme heat, so they won’t warp or crack when you crank the oven, and are easy to clean. Substances, like oil and grime won’t stain, so you can just wipe them down after you cook. Finally, they will increase the value of your home. • Design: Do you want an intricate pattern, or something simple and linear? The design you want will determine the colors, shape and sizing of your glass-backspalsh. You can do smaller tiles in diamond or hexagon shapes for a kaleidoscope effect, or large subway-style tiles, with smaller ones with a border accent in another shape or size. Anything goes- just make sure you know what you want before you choose a backsplash. • Colors: The color of the backsplash should compliment your kitchen. It should match, or enhance, the walls, counter-tops, floors and cabinet colors. Due to their popularity, and versatility, you can easily find almost any color, so take your time and shop around. Ideally, you want a color that won’t go out of style, as the backsplash can last for years. However, since they are not expensive, if you want to be creative and change it every few years, take a risk and do something bright. For instance, if you have an all-white kitchen, or neutral one, you can add some color with your backsplash, without going overboard. If your hesitant, use colors like pale blue, or gray. They are timeless, and will match most materials should you decide to change your cabinets down the line. Finally, backsplash in glass comes in varying degrees of transparency. It can be clear, semi-opaque, or frosted. You can do an all-white backspalsh, in different transparencies, for a textured, but subdued, look. • Shape: The shape you choose will depend in the overall look you’re going for. If you want something bold, but don’t want to use a loud color, an interesting shape is a great way to make a statement. For example, you can use plain white tiles with a 3-D, beveled look, or take a subway tile and place them vertically, or cross-hatch style.You can also do a subway tile, with a mosaic of smaller, multicolored tiles in a square section above the stove as a focal point. • Size:-When you place backsplash, make sure the size of the tile matches the size of the room. If you have limited wall space, a larger tile may overwhelm the space and look uneven. Conversely, in a kitchen were you have ample wall space, small tiles may look dizzying if not done right. Plus, if the size is wrong, it may make the design you want impossible. Choose a size that compliments the space and works with your overall vision. It coul match to your Kitchen Gadgets. 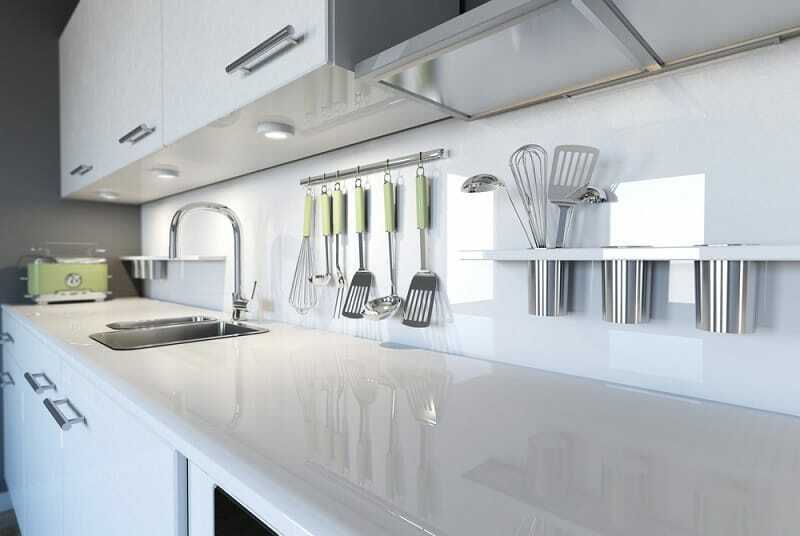 • Layout: Glass backsplash abuts your cabinets, counters, rangehood and stove. Some of those spaces, like the rangehood, may not be straight and have a curve to them, and sizing in those spaces may vary. This can make installation tricky. If you’re handy, you can practice making those style cuts on any extra pieces you may have. If not, have someone install it for you. • Plugs and Outlets: Cutting glass can be quite simple, until you reach an outlet or plug to go around. Not only can getting an exact cutout, or lining up tile correctly around them be hard, it can be dangerous as there is electricity running through there. If you opt to do this yourself, make sure everything is off before starting. If you are unsure, you can have an electrician take a look at it or hire a professional to do the job. Caring for a glass backspalsh is pretty straightforward. You can wash it with soap and water after you cook, and do a weekly cleaning using a mix of warm water and white vinegar. The only thing you need to be careful with is scrub brushes. They can scratch the glass, so use a cloth to clean it. There are many advantages of installing a glass panel backsplash. To start, they are stylish and fun. There is an abundance of colors, shapes and sizes, so you can have a one-of-a kind kitchen design that looks like it’s from a magazine spread. They are also easy to clean, and hold up well to temperature and sunlight. Finally, they are an inexpensive, yet well-constructed, so you get your money’s worth. 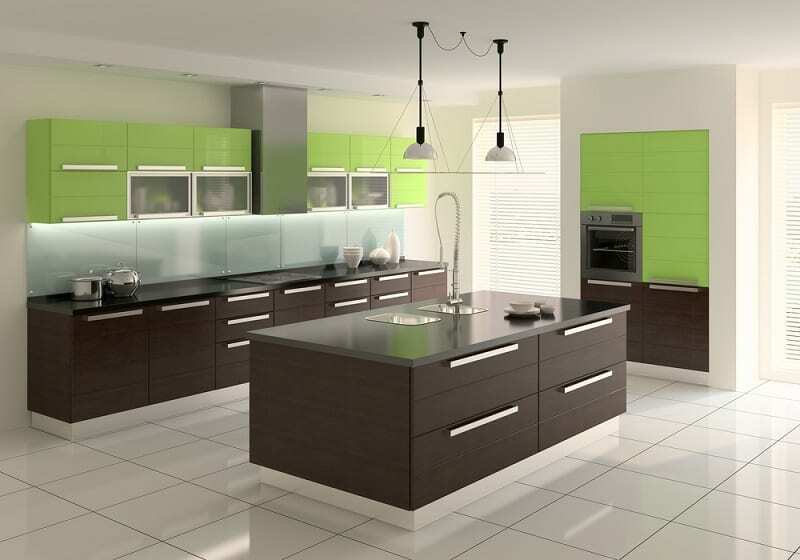 So, go online and check out the range of glass kitchen backsplashes available and start the transformation today!